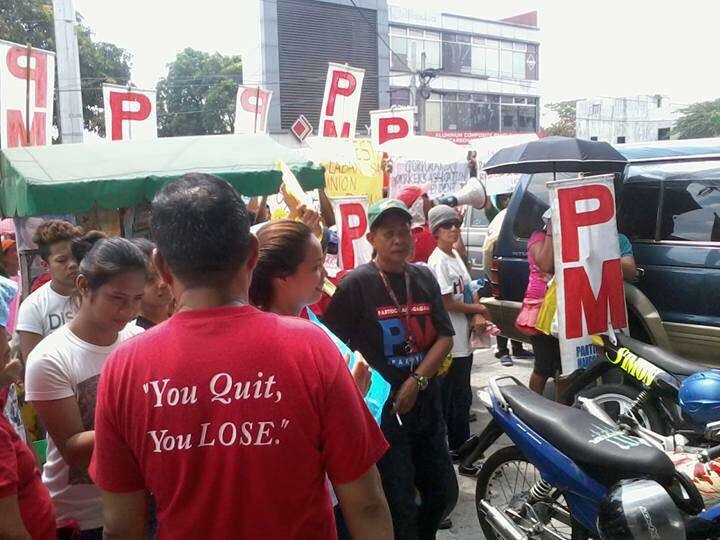 The five day strike at an electronics subcon in the Cavite EPZA, the country’s biggest export zone, ended yesterday with the reinstatement of workers earlier fired for union activities. Striking workers of Seung Yeun Technology Industries Corp. (SYTIC) will go back to work next week, including eighteen illegally terminated employees, in a deal reached at a mediation meeting convened by the Department of Labor and Employment (DOLE). Two retrenched workers earlier accepted the separation offer of management and are not covered by the agreement. “We will report for work with our heads held up and with our dignity as workers recognized. We owe this victory to the determination of our union members who paralyzed the operations of SYTIC for almost a week and forced management to accede to our just demand for reinstatement. We hope this is the start of management’s change of heart that it needs to give workers their due and respect their rights,” stated Frederick Bayot, president of the SYTIC workers union. The striking SYTIC workers earlier threatened to escalate protests inside and outside the Cavite EPZA if their demands were not met. 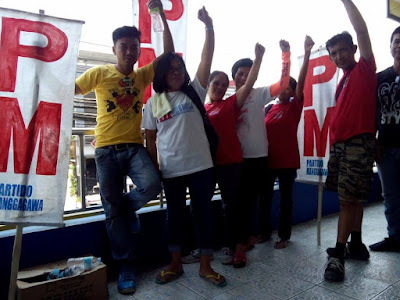 More than a hundred members of the partylist group Partido Manggagawa (PM) and the union Philippine Airlines Employees Association (PALEA) occupied the DOLE office in Imus, Cavite while the mediation meeting was ongoing yesterday. While Thursday night the SYTIC strikers and their supporters marched around the export zone and hopped from one factory to another to solicit support from EPZA workers. Union officers and members were fired by SYTIC management in an attempt to bust the union that was formed to address numerous workplace issues. SYTIC workers complained of wages that partly are not paid in cash but in the form of meals, illegal deduction on wages for company events, non-payment of overtime due to an illegal compressed workweek schedule, and the lack of a company nurse, doctor and hospital bed, as provided for in the Labor Code. “We call on the DOLE to act on the complaint we earlier filed at the provincial office about labor standards violations at SYTIC to ensure that they are appropriately and promptly addressed,” Bayot insisted. SYTIC manufactures plastic products that provide protection to integrated circuits and electronic components from physical and electrostatic discharge during storage and shipping. Its three biggest customers are ON Semiconductor Philippines Inc. in Carmona, Cavite, Analog Devices General Trias Inc. in the Gateway Business Park in General Trias, Cavite and Texas Instruments factories in Baguio and Clark ecozones. All are local subsidiaries of US multinational companies. ON Semiconductor is a spinoff of Motorola. SYTIC also supplies to Cavite-based factories of local subsidiaries of US electronics companies Maxim Integrated and Cypress. It exports part of its production to C-Pak Cergas in Malaysia.